This compelling book presents a new way of thinking about our place in time, enabling us to make decisions on multigenerational timescales. The lifespan of Earth may seem unfathomable compared to the brevity of human existence, but this view of time denies our deep roots in Earth’s history—and the magnitude of our effects on the planet. Marcia Bjornerud will discuss Timefulness: How Thinking Like a Geologist Can Help Save the World on November 27 at 6pm. The Story of Earth: The First 4.5 billion Years, From Stardust to a Living Planet, by Robert Hazen - Hazen, a prominent mineralogist, argues compellingly that the rocks and minerals in Earth’s crust have evolved over time as Life has altered the chemistry of the planet’s air and water. On the Origin of Species, by Charles Darwin - Although it’s heavy going in places (it’s OK to skip the long passages on pigeon breeding! ), Origin of Species is ultimately a journey deep into Darwin’s versatile mind. Labyrinthine passages through thick underbrush alternate with lyrical exclamations from panoramic overlooks. The Two-Mile Time Machine, by Richard Alley - Alley, a leading climatologist, explains how high-resolution records of climate over the past 800,000 years can be retrieved from the natural archives of glacial ice. About Marcia Bjornerud: Marcia Bjornerud is professor of geology and environmental studies at Lawrence University. She is the author of Reading the Rocks: The Autobiography of the Earthand a contributing writer for Elements, the New Yorker’s science and technology blog. 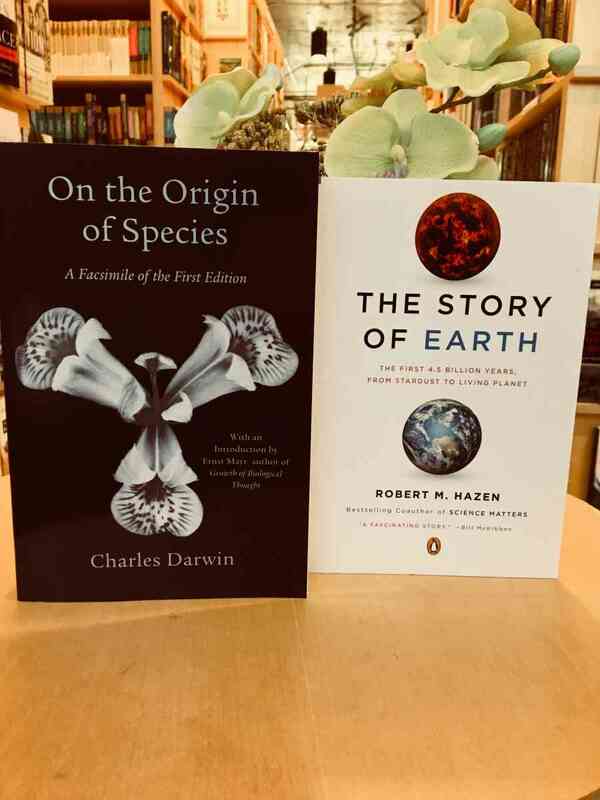 Charles Darwin's seminal formulation of the theory of Evolution, On the Origin of Species continues to be as controversial today as when it was first published.